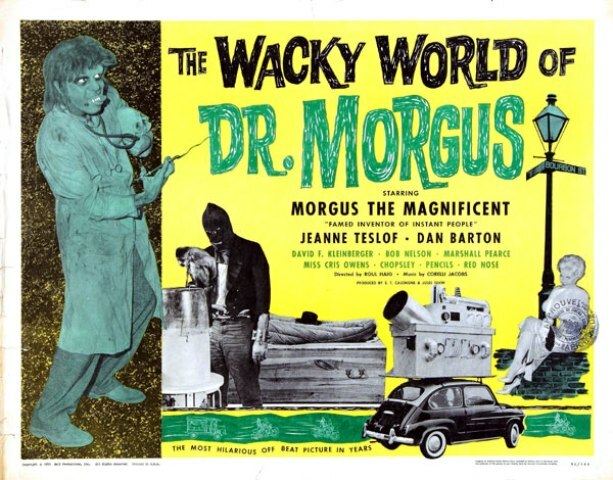 The Wacky Return of Morgus the Magnificent! 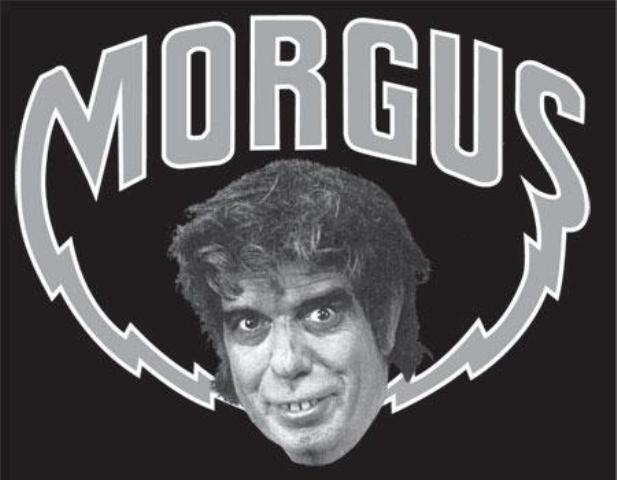 I have been a fan of Morgus the Magnificent since I saw him syndicated on WPIX out of New York in the mid to late 80’s. To date he has always been a favorite horror host of mine and his weekly experiments were always a lot of fun. Long after his show went off the air I found a website dedicated to Morgus and members of the Higher Order. The site? MORGUS PRESENTS! ONLINE! Just recently I received an e-mail from site webmaster Chuck Brillowsky and wanted to share it with all of you! Since you’re among the many who have inquired into the availability of Morgus on DVD, I’m hoping that you will be pleased to receive this message and the good news contained herein! It’s with great pleasure that I announce that they are now both available on DVD! Wacky World was released about two weeks ago and is currently shipping. Morgus Presents Volume 1 is in production and schedule to ship the first week of January. This is an exciting time for Dr. Morgus and Morgus devotees, alike! The Wacky World of Doctor Morgus can be ordered HERE and is available immediately. 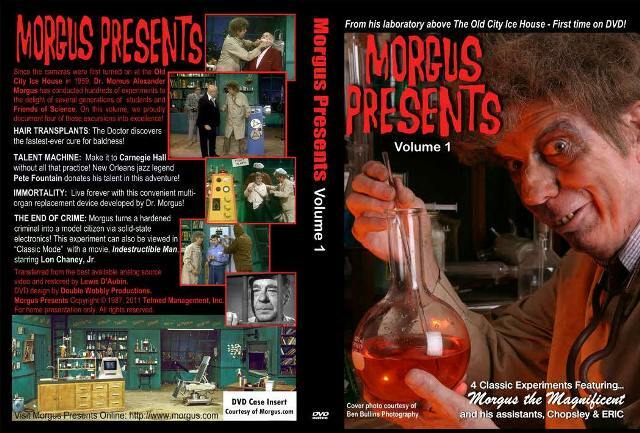 Morgus Presents Volume 1 can be pre-ordered HERE for early January shipping. For our friends who watched Morgus in Detroit, you may be interested to know that the DVD includes one of his Morgus & the Weather shows that were produced & shown on WJBK! While you’re waiting for your DVD to arrive, there is also an eBay auction in which you can win the opportunity to be the first person outside the Old City Ice House to see the Morgus Presents DVD. Up-for-grabs is the actual evaluation disc that Dr. Morgus viewed in his lab and signed, denoting his approval to go to manufacture. Also included are two hard-copy graphics proofs from the case and disc face designs. This is the rarest of the rare, as only one copy of each exists! The auction ends December 30th and the winner will receive the goods before the released version of the DVD ships. Go HERE to bid!!! With the expressed consent of the Higher Order, the Doctor has selected 4 of his favorite, most-successful experiments and packaged them up along with a classic (in other words, dull…) black & white movie of yesteryear, and a special treat that will appeal especially to those of us whose first exposure to Morgus was on Detroit television. The result is Morgus Presents Volume 1, which is currently in production in a far-away place called New Jersey. Manufacturing and printing are estimated to be completed on December 30th, and we’re planning on an official release date of January 3rd, which is a significant, recurring date in Morgusian lore. It was on January 3rd of 1959 that the cameras first lit up the Old City Ice House with House of Shock, and it was January 3rd of 1964 that Detroit-area viewers discovered Morgus Presents. Coincidence? We don’t think so and can’t imagine a more appropriate date to finally deliver the Doctor to your living rooms! Let’s all support Morgus and order these discs and hopefully there will be more volumes in the future! I am going to order mine now! 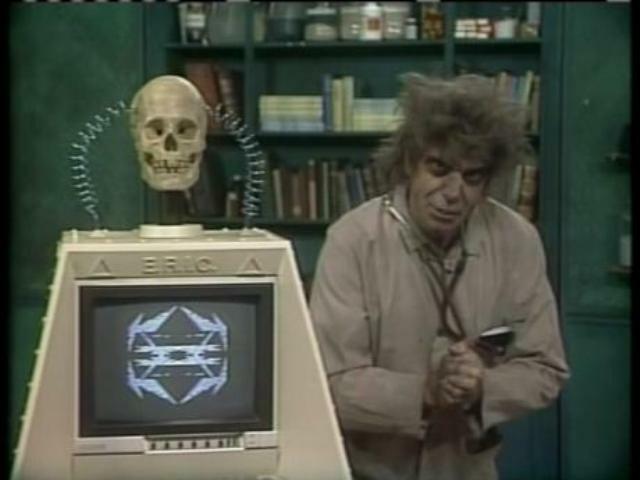 This entry was posted in Horror Hosts and tagged Morgus the Magnificent, The Wacky World of Dr. Morgus, WPIX New York. Bookmark the permalink. ← MERRY CHRISTMAS FROM THE DAVES! I have viewed this site for the first time and LOVE it! Hey Tom! Welcome to the site and we are so glad you love it! We are always looking for books and videos to promote and review on here…how can we get copies of your book? Thanks! Thanks David! Unfortunately we don’t have a lot of info on Dr. Morgus and he is not only one of the countries most prolific hosts, but elusive. We definitely look forward to what you put together regarding your project and are sorry we can’t be of more help.